There’s never been a better time to visit Sri Lanka. 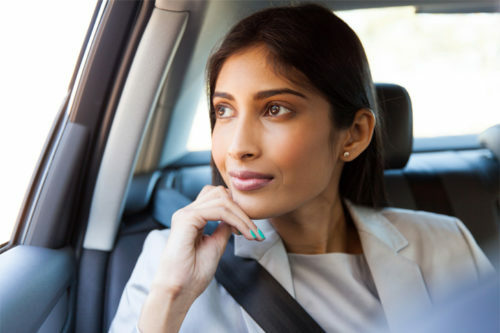 For one thing, the country has become easier than ever to discover, thanks in part to Cinnamon Air. The domestic airline now offers daily flights between Colombo, Castlereagh Reservoir and Koggala. 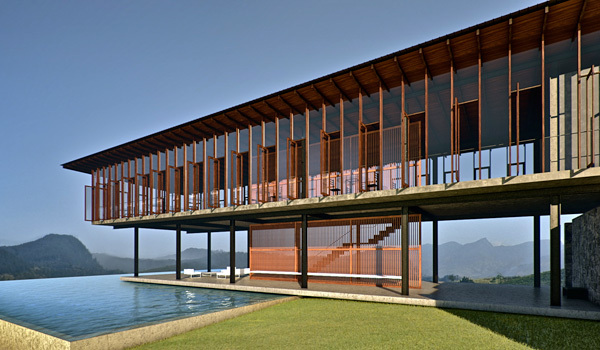 It’s excellent news indeed—especially in light of the country’s ever-growning batch of stunning retreats. Once you’ve got your flights booked, make a note to stay in one of these five gorgeous design hotels in Sri Lanka. It’s just the time of year to treat yourself to a getaway. Located along Sri Lanka’s picturesque southern coast, Ani Villas is one of several newish hotels that are helping to transform this region into a new luxury haven. 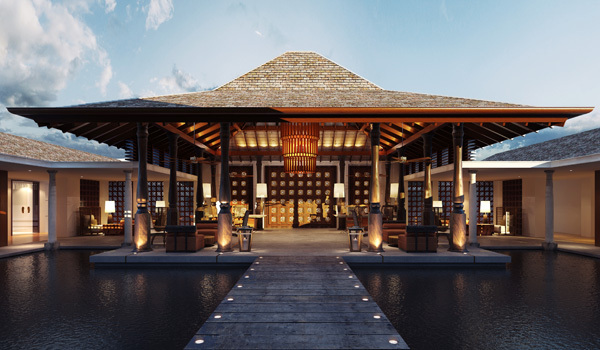 The 15-bedroom hotel is a master study in modern Sri Lankan design, with its elegant, tropical ambiance – but once you arrive, you may find your attention is drawn to the sandy beach and crashing waves beyond. 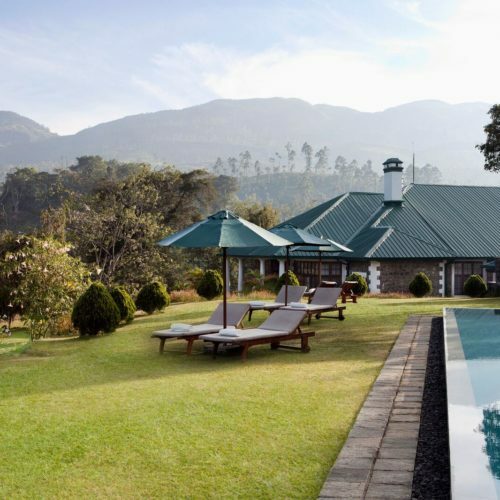 On-site, guests can sign up for South Asian cooking classes, go for cycle tours and treks of the surrounding scenery, and enjoy the private spa and pool. 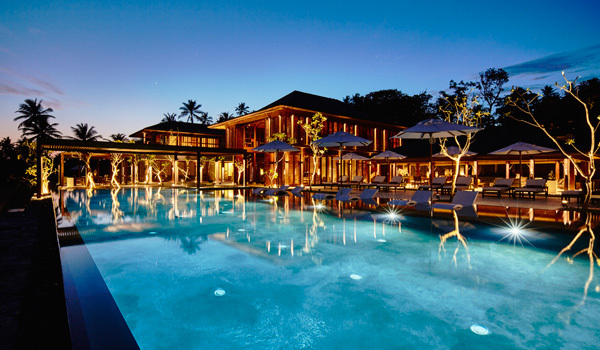 Its name might be a mouthful, but Anantara Peace Haven Tangalle Resort is no misnomer. 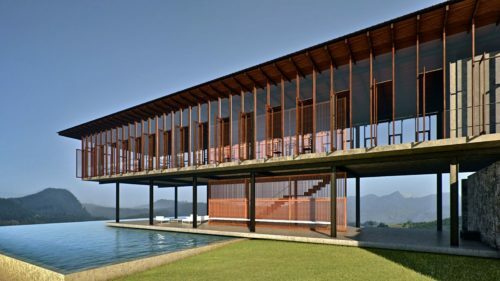 This striking design hotel in Sri Lanka just so happens to be located on a sprawling coconut plantation—and, given its coastal location, also abuts the Indian Ocean. Those after a luxury experience can book into one of four private villas, each of which boasts its own pool. Gourmands also have ample opportunity to indulge in the hotel’s bespoke “Dining by Design” programme, which invites a personal chef to cook up a special menu—and serve it beachside. 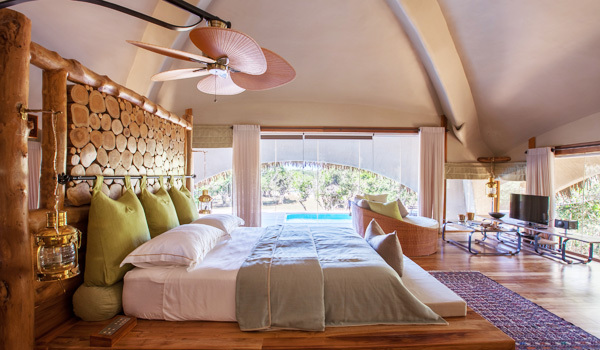 The lovely Santani, which opened early last year, is billed as the country’s very first luxury wellness resort. It’s an impressive—and destination-worthy—accolade. Guests are encouraged to leave behind their devices and digital distractions to soak up the hilly, central Sri Lankan scenery. 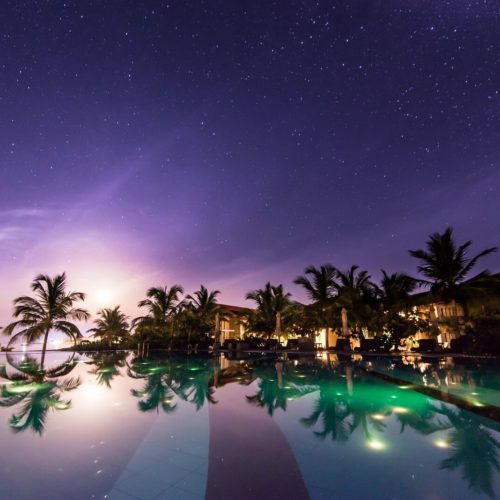 Without the Wi-Fi, visitors can dine in the resort’s elevated restaurant, relax near an outdoor campfire, swim and practice yoga, and go on treks around the area’s tea plantations and hiking trails. This is one for the nature lovers. The resplendent Tri prides itself on its visionary, eco-friendly accommodations. 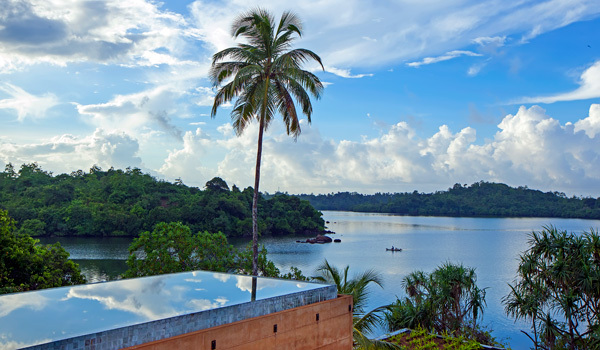 Located along Lake Koggala—between Galle and Weligama on the southern coast—the sustainable resort comes outfitted with living walls, uses solar hot water, and otherwise invites visitors to nestle into its 10 ultra-green villas. 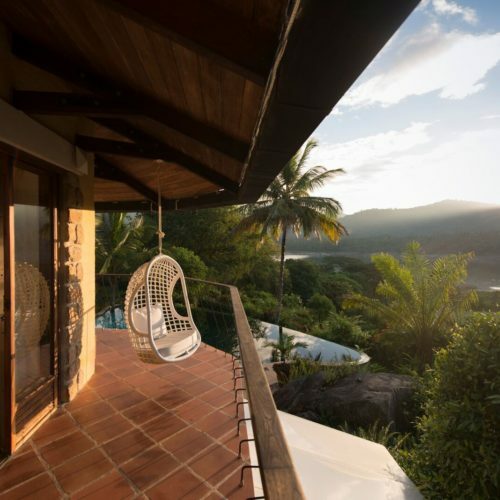 When it comes to activities, a treetop Yoga Shala with treatment rooms and steam caverns is a must…as are the cantilevered pool, library, and entertainment room. Thanks to its location adjacent to Yala National Park, Chena Huts, a luxury safari lodge, will host daily game drives that will help visitors spot leopards, elephants, and other exotic wildlife. In the evenings, a retreat to a private, pool-accompanied hut is in order—only after some fine dining and cocktails in the hotel’s bar and restaurant, of course.